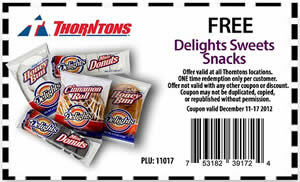 Get a FREE Delights Sweets Snacks at Thorntons. Thorntons does it again this week with their Fan Exclusive Coupon: FREE Delights Sweets Snacks. You can simply print the coupon by clicking the welcome tab at the top of the Thorntons Fan Page, you are not required to watch the video on their Facebook fan page. Coupon will be valid December 11 – December 17, 2012, so hurry and redeem it for some very sweet free snacks. Get a Stage Stores Coupon Code: 25% OFF Your Purchases. The Stage online department store is offering 25% off your entire purchase as a part of a Holiday Sale that they have going on. In addition you can also get free shipping on your order in the case that it is over $29. In order to receive your discount, simply use the coupon code - 25247 upon checkout. Save some money today, and let us know how much money you saved in the comments section if you would like. Get 20% OFF Entire Purchase now through December 6th using Oreck Coupon Codes. Upon checkout, simply enter coupon code - GIVETWENTY. Now is the time for you to save some money on vacuums that you may have wanted to previously purchase, maybe something like the robotic vacuum that memorizes a route and cleans automatically. Get the Descent: Journeys in The Dark Second Edition Board Game. 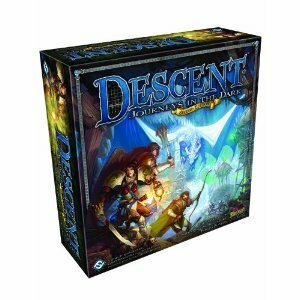 Descent: journeys in the dark second edition is a narrative board game in which one player takes on the role of the treacherous overlord, and up to four other players take on the roles of courageous heroes. Featuring double-sided modular board pieces, countless hero and skill combinations, and an immersive story-driven campaign, descent: journeys in the dark second edition transports heroes to a vibrant fantasy realm where they must stand together against an ancient evil.this updated version of the classic board game of dungeon-delving adventure features a host of enhancements, including new heroes and monsters, streamlined rules, a class-based hero system, campaign play, and much more. Take advantage of the Amazon.com: iPhone 5 cases by BoxWave Discounts. Use coupon code: LUVAPPLE to get $8.49 off purchase of selected cases from Boxwave (pre-ordering available now also). 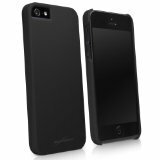 Most cases are discounted to $9.99 right now (from as much as $32.99) so ends up being $1.50 before shipping charge is applied. 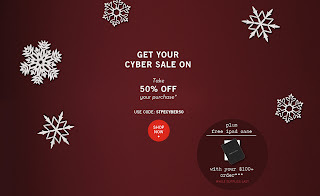 Be a part of the 50% Off Sitewide Discounts on PerryEllis.com as a part of a Cyber Monday Sale. 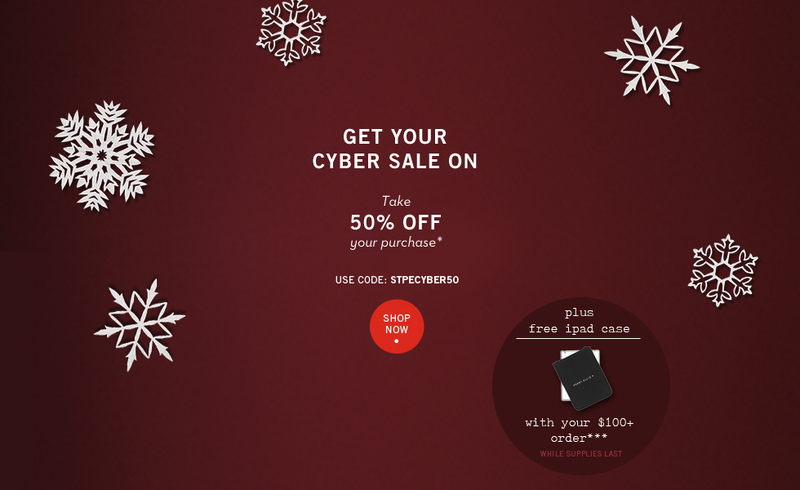 Upon checkout make sure you apply the promotional coupon code - STPECYBER50, otherwise you will not be able to get the discounts. But that is not all! If you make an order of over $100 online you will also receive a FREE ipad case for your iPad. Offer valid only through 11:59 PM (PST) on November 26, 2012. Discount is not valid on watches. Discount not valid at specialty, retail or department stores. Not valid for cash. Not to be combined or used in conjunction with any other offer, discount or promotion. Take advantage of the Sunglasshut Cyber Monday Sale - 70% OFF Select Styles plus Up to $50 Bonus Cards. As a part of a Cyber Monday Sale, Sunglasshut is offering everyone 70% OFF some select items when their clients simply enter a coupon code BOX70 upon checkout. In addition to that they are also offering up to $50 Bonus Cards when you make a purchase over a certain amount. For example if you purchase full priced sunglasses valued up to $149.99 you will receive a $20 bonus card to use on your next order. Take advantage of this great deal and don't miss out! 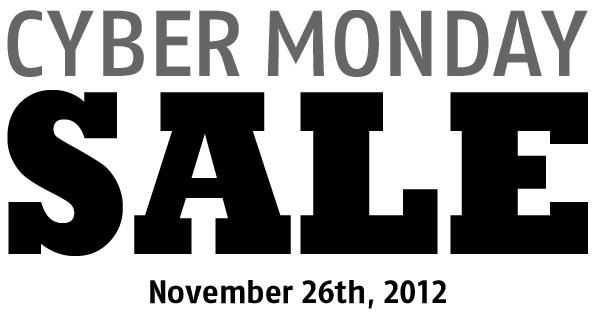 Cyber Monday happens only once a year, unless of course you are a fan of our site and keep up with the deals we post. Get a JJILL Coupon Code Today Only. You can get Free Shipping and 25% OFF your entire purchase when you enter a special promotional code - MNDAY. Offer valid through November 26, 2012, on merchandise in a single purchase. Discount taken at the time of purchase in stores (outlets excluded), at JJILL.COM or via catalog. Full-priced UGG® brand styles excluded. Discount not valid on previous purchases or gift card purchases and is exclusive of sales tax and shipping fees. No cash value. Take advantage of this cool offer today! Get FREE $25 Statement Credit for American Express Card Members. 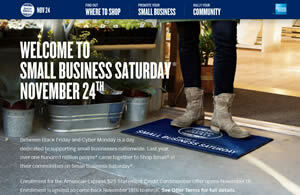 To receive the $25 statement credit, the Cardmember must use his or her enrolled Card to spend $25 or more in a single, in-store transaction at a qualifying small business location on Saturday, November 24, 2012. To receive the credit, the transaction must equal $25 or more. Enrollment for the American Express $25 Statement Credit Cardmember Offer opens November 18. Enrollment is limited so come back November 18th to enroll. Take advantage of the PetSmart Cyber Monday Sale that just started. This is a great time to save on some really cool stuff that your pet can enjoy. You can save up to 50% on select web exclusive products. 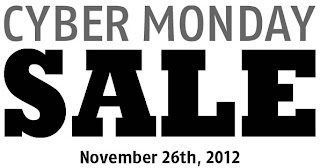 The sale will end just like any other Cyber Monday sale on Monday November 25, 2012 at 11:59PM. Hurry and take advantage of this sale! Take advantage of the Cyber Monday Deal of Precision Acoustics Subwoofer for only $100. These speakers normally cost $399.99, but because of the Cyber Monday coming up, they are currently discounted. These speakers are only available to users in Canada. Buy the Need for Speed: Most Wanted: Limited Edition - Xbox 360 for only $29.99 at Best Buy. Need for Speed: Most Wanted sends you racing through a no-rules world at full speed as you try to outrun the cops, outdrive your friends and outsmart your rivals. Hit jumps and shortcuts, power down and slide out as you try to shake a relentless police force on your tail. Hook up with friends and jump into nonstop action with a playlist of competitive events where you can race and battle to earn points and speed to the top of the leaderboards. Get behind the wheel of two of the world's hottest cars, the Maserati Gran Turismo MC Stradale and the 2012 Porsche 911 Carerra S, with all of the latest performance modifications, including a racing engine and brakes, an optimized aerodynamic body, Nitrous Burn and more. 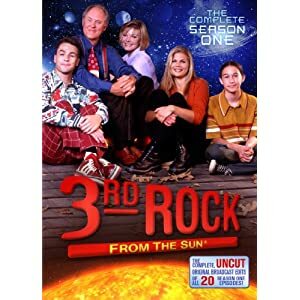 Get 3rd Rock From the Sun - Season 1 from Amazon Today. Take advantage of some great savings! Normally this season costs $9.98, but today it is $4.99. Casa Coupon - 30% OFF Your Purchase! Get Casa Coupon - 30% OFF Your Purchase! Just use code CASA30 upon checkout in order to get the discount. This is available only on your first order, so if you plan on ordering a lot of stuff from the site, just make one order instead of multiple ones. Get the Ace Hardware - 15% OFF Your Order Discount. Offer applies to merchandise subtotal. Tax or shipping and handling charges will not be included in determining merchandise subtotal and are not discountable. Offer not available with any other offer or on previous purchases. Offer excludes sale and clearance items, Weber branded products, power tools, power equipment, grills, water heaters, EdenPure heaters and gift cards. 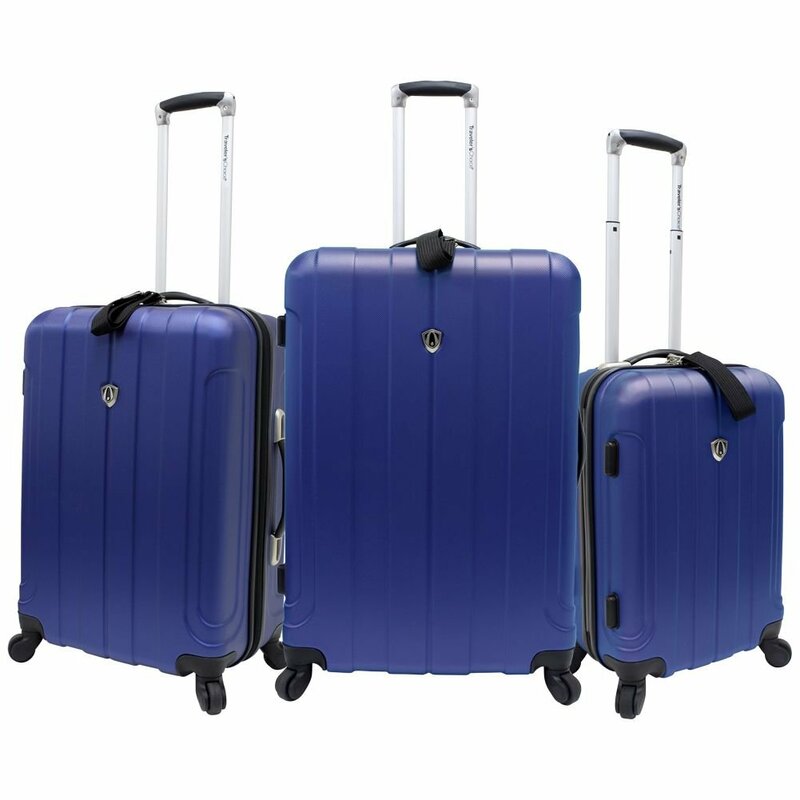 Get the Traveler's Choice Cambridge 3 Piece Hardshell Spinner Set. Normally these suitcases cost $499.99, but today they are only $129.54. Travel in style with this hard-shell luggage set from traveler's choice. These suitcases feature adjustable handles, smooth wheels and a scratch-resistant finish. This luggage set includes three spinner uprights made from polycarbonate abs materials and hardshell suitcases that protect your belongings. This set features abs which gives the shell greater rigidity so that it will not permanently deform when under pressure but instead 'pop' back up into its original shape. The convenient removable add-a-bag straps can be used for carrying additional bags. You can also use the multiple-stage self-locking retractable 2-tone aluminum handle system to easily lock the handle into place. The four multi-direction spinner wheel systems allow you to easily roll the luggage across the floor. The packing compartment features a center pocket and the interior is fully lined and imprinted with a divider. 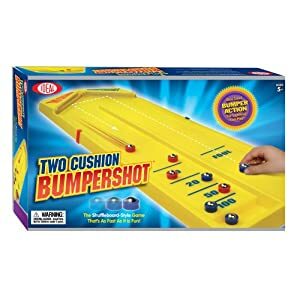 Amazon.com is offering a great deal on Two Cushion Bumpershot. Normally, this cool game costs $26.99, but because of a Black Friday/Thanksgiving Sale, they are offering it for $20.69. In addition to this cool deal they are offering you to save $10.00 when you purchase 2 or more Qualifying Items offered by Amazon.com.